I've debated a while about whether or not to add a page like this to my site. It's not about fashion and what we're like on the outside, but more about how we are on the inside... I would include information about areas from education to how to 'find yourself' (for lack of a better description). hope you enjoy... and please send me feedback on how you like it, whether it has given you an "aha!" moment, or even suggest some websites that you have found helpful for me to consider adding here for everyone. I appreciate ALL of you!! Just got turned on to Danielle's unique perception of life recently. I'll admit that I did scratch my head for the first few minutes of reading her ideas... it's so different from how I've been accustomed to thinking about goals and desires and just where I'm headed in life. 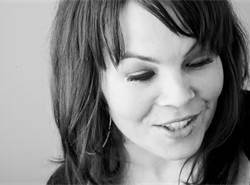 Visit her webpage www.daniellelaporte.com, and see what she has to say.